Gunaadi.com: Interislander : It's not a ferry but a cruise! 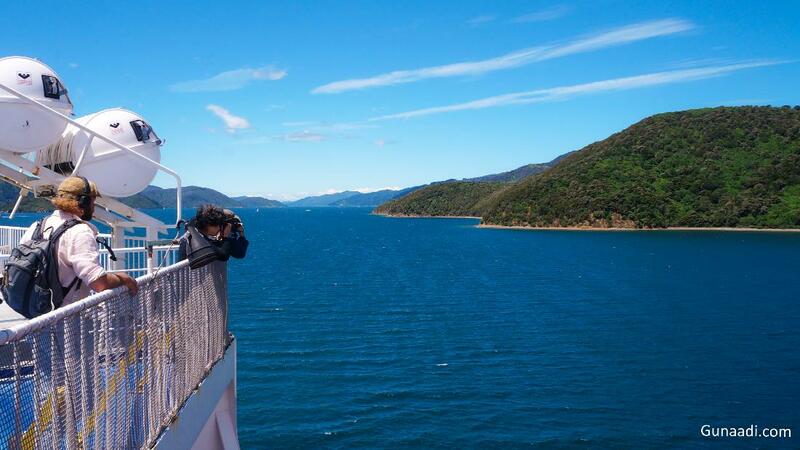 Interislander : It's not a ferry but a cruise! I got free Interislander ferry return from my Naked Passport (normal price was around 50 NZD for 1 trip). Previously, i planned to not use it because it was too difficult to include it in the itinerary but i changed my mind. People said that It is one of must try while you visiting New Zealand. Okay, i needed to try but i didn't expected more.I thought it was a common ferry but nope...It was a cruise! It was over my expected! I met with Nathan, A New Zealander, in Nelson so we were in the same bus actually. He was the first New Zealander friend in this trip. A lot of tourist in New Zealand so i didn't know which one local and which one tourist. He resigned from his job and visit Nelson for cherry picking. I didn't know what in his mind. He assisted me to check-in in the ferry terminal. The most important thing was i could not bring my backpack inside the ferry, only small backpack permitted. Lucky, the baggage cost had been included in the ticket. The Picton Ferry terminal is quite huge. 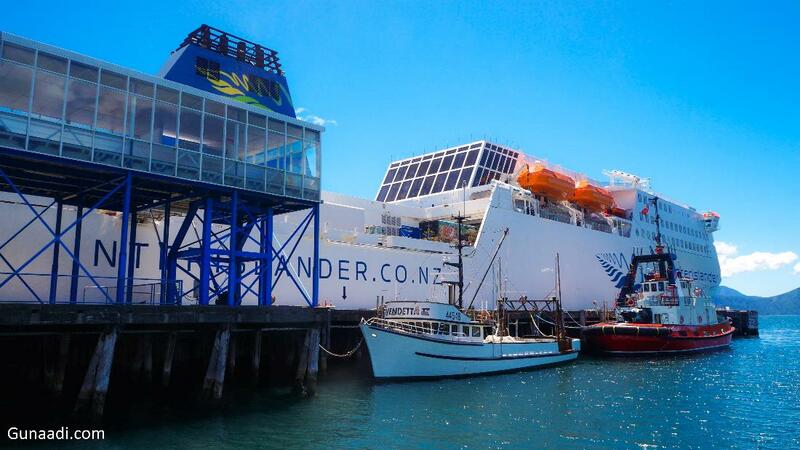 It has 2 storey and the 2 companies (interislander and Bluebridge) berth in different terminal. Beside the terminal, there is a small port for Private yacht. 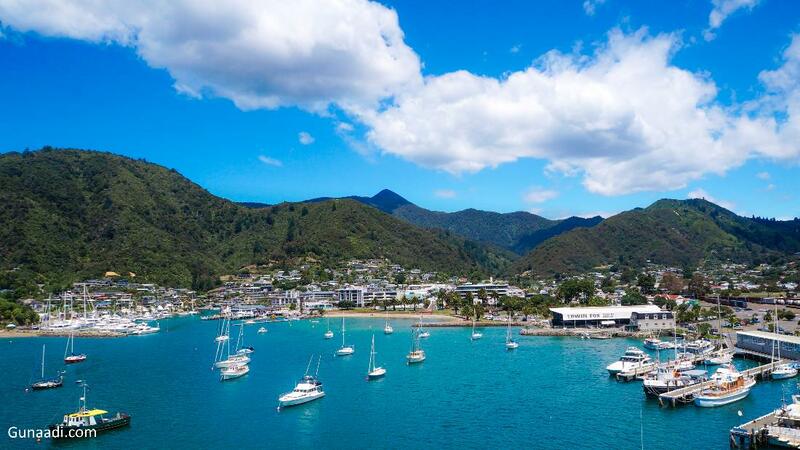 I thought everyone has yacht in Picton because there were a lot. The Departure gate was on second level, so i just directly went up there and had my lunch. Interislander is one of ferry provider connecting Picton, South island and Wellington North island or usually it is called Cook Strait. Other company that ran the same business is Bluebridge. 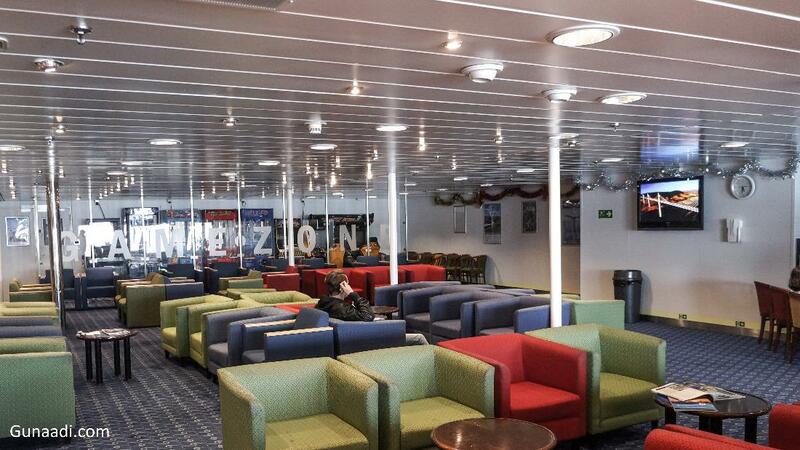 It is the most luxurious ferry i ever used. the duration of the trip is around 4 hours. The Vessel can accommodate few hundred people, car, truck, bus and previously a train also ever joining this vessel. You can imagine how big it is. I walked to the Ferry from the departure gate and crossed some parking area for bus and car. My expectation was not so high with the ferry. After i arrived in the passanger room, it was not a ferry but a cruise! There were a game room, movie room, restaurant and bar. The most recommended place was in the restaurant because it was located at the front and there was a window to see outside. The ferry had some storey and an outdoor deck (i think 4 storey if i'm not wrong). I went to the outdoor deck for seeing the scenery. I could saw the port and the ocean clearly from here! However, the wind was so strong so i surrendered and came back inside. Nathan ever said to me that sometimes there was a storm or high tide during when the ferry cross the open ocean. I confirmed what Nathan said because i ever watched it in youtube. I think better you not watch it before sail away, it is scary. Do not worry it is not happen frequently. i think i have made you afraid....look at me i'm still alive now. Hope i enjoyed the sailing! From here, i had to say goodbye to South island. I hope we can meet again another time. I would miss you even though, you might forget me because a lot of tourist would visit you. I didn't care and i would tell you if i come back. Thanks for everything and goodbye south!